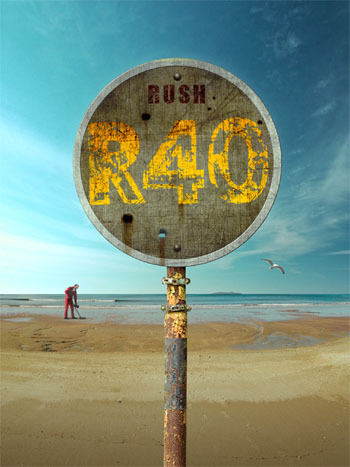 Today Spin magazine posted 'A Timeless Wavelength: An Interview With Alex Lifeson of Rush', where Alex talks about the R40 tour, staying together as a cohesive group for 40+ years, their multi-generational fanbase, the challenges in today's music business, Victor and more. Check it out here. "The following interview...took place in July of 1996, at the offices of his manager when the band were gearing up to release their album Test For Echo. Parts of this interview were used in a piece I did on him for the music magazine Huh." You can read the interview with Geddy Lee here, and the interview with Alex Lifeson is here. - Thanks Paul for sharing! Qello Concerts Rush channel has been updated to include the second half of their interview with Geddy Lee where he talks about his touring basses. You'll note he mentions not being a fan of Steinberger's any longer "one tour was enough", and mentions having many more basses at home, including a "Batman" bass(?! ), and more. As announced last fall, Rush is reissuing the complete Mercury era albums on 200-gram heavyweight vinyl in chronological order throughout 2015. The next release is Moving Pictures, which hits store shelves today (July 24th). It is also available as a tshirt bundle. Eventually the vinyl reissues will include all studio and live albums through A Show of Hands. 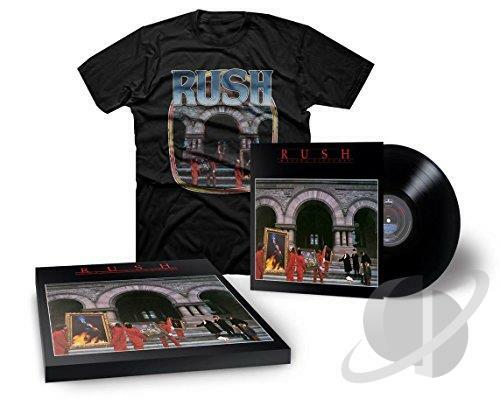 Previous vinyl reissues include Rush reDISCovered, Fly By Night (vinyl and blu-ray pure audio in 5.1 surround sound), Caress of Steel, the 2112 hologram edition, A Farewell To Kings (vinyl and blu-ray pure audio in 5.1 surround sound), Hemispheres and Permanent Waves. These vinyl reissues also include a 320kbps MP4 vinyl ripped Digital Audio album download, and can also be purchased separately as high resolution Digital Audio. Eddie Trunk flew in to Denver to catch the R40 show at the Pepsi Center on July 11th. 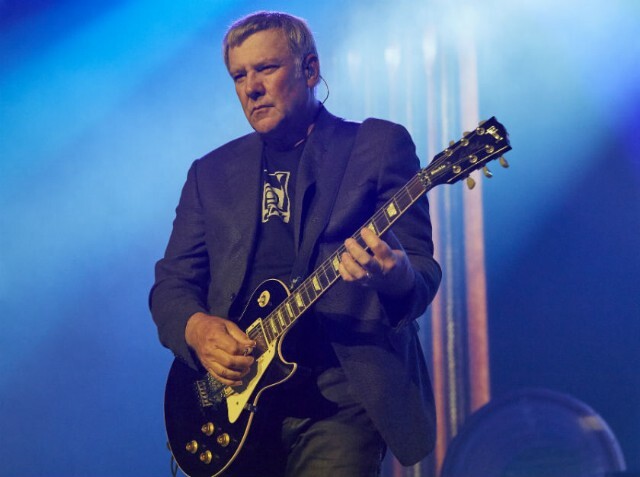 Before the show, he sat down with Alex Lifeson for his weekly podcast which you can check out here. He talks at length about Rush in general, and speaks to Alex beginning at the 31 minute mark. "Go backstage with Eddie Trunk and Alex Lifeson during Rush's R40 tour on this episode of The Eddie Trunk Podcast. The legendary prog guitarist talks 40+ years of Rush, the band's history, picking the set list, his arthritis, performing with Andy Curran, and more!" 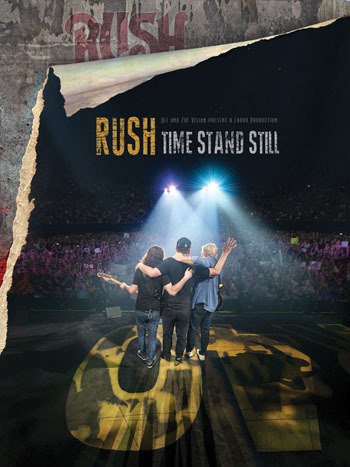 PLSN July 2015 Production Profile: "The Deconstruction of Rush"
Before every Rush tour, the artistic team, including creative director Dale Heslip, producer Allan Weinrib, lead singer/bassist Geddy Lee (Allan’s older brother) and Howard Ungerleider start by getting together for some new ideas. Prior to their latest brainstorming session, Dale came up with an idea of going backwards in time. His idea was to stage a show that started where they left off in 2013, with the Clockwork Angels tour and all its high tech visuals, and take the audience back in time all the way to when Rush played their first gigs with a few PARs on sticks and a mirror ball. Dale pitched the idea to Geddy, who immediately called a meeting to discuss the concept further. There, everyone looked to Howard to come up with ways to make the concept come to fruition. For the complete article visit PLSN.com. UPDATE: The auction is now available here and ends early next Tuesday morning the 28th. TORONTO — Canadian rock band Rush is auctioning an autographed snare drum and cymbal to raise funds for cancer care and research. The exact replica of Neil Peart’s #R40 drumset is a limited edition snare made of 1,500-year-old Romanian River Oak salvaged from the Olt River. It is inlaid with laser-cut exotic woods and complimented with gold-plated hardware. Only 250 of the drums were ever produced. Fans can also bid on a 17-inch Paragon crash symbol from Sabain autographed by Peart, Geddy Lee and Alex Lifeson. All proceeds from the eBay.ca auction, which runs from July 18 to 27, will go to the Princess Margaret Cancer Foundation. Qello Concerts Rush channel have added their next Webisode. In #3, Geddy Lee gives us a tour of his basses. Yesterday PRS Guitars shared three video interviews with Alex Lifeson, including "History with PRS Guitars & the R40 Tour", where he talks not just about PRS, but also the R40 setlist and stage show. Also available is Alex Lifeson on his "Signature SE Acoustic Guitar", and "Alex Lifeson on his Private Stock Signature Model Acoustic". - Thanks to Rosmakloma for the headsup! Later, during the Daily Double, Morrow wagered $2112 and won! She'll be back on tomorrow night! - Thanks to Richard Benak for the headsup! We were there as the R40 tour passed through Denver last Saturday night, and here are photos of the show from photographer John Vinson taken exclusively for Power Windows. 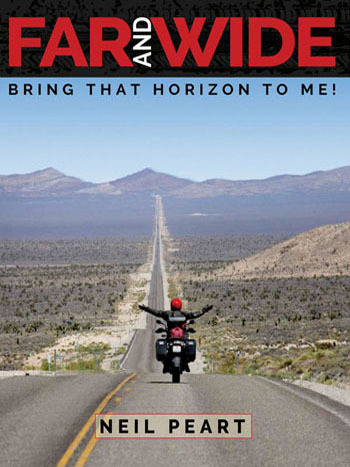 John has been shooting Rush for over 30 years and was also a frequent contributor to the A Show of Fans and The Spirit of Rush fanzines! 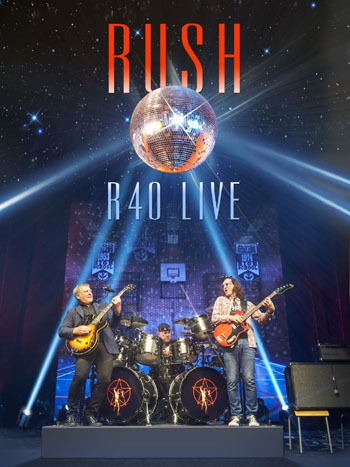 As mentioned back in June, the Qello Concerts Rush channel gives fans exclusive behind-the-scenes webisodes from the R40 tour. SPOILER: They have just posted a short video interview with violist Johnathon Dinklage filmed backstage at the Newark show last week. - Thanks to Ed Stenger for the headsup! 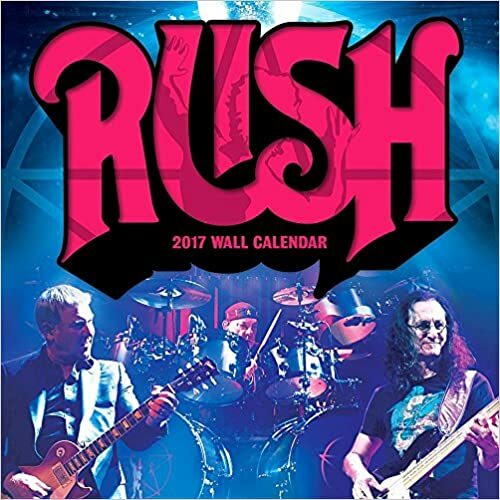 Rush is playing the Pepsi Center in Denver this Saturday July 11th, and as a warm up, the Hard Rock Cafe Denver is hosting a Rush party TONIGHT, Thursday, July 9th at 7 PM. 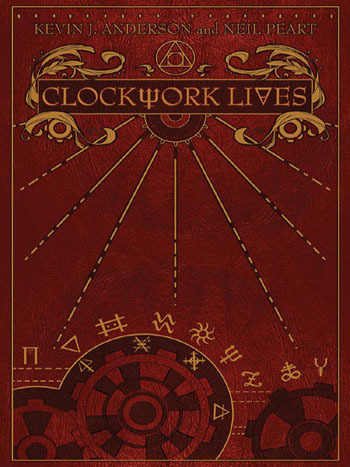 In attendance will be Colorado's own Kevin J. Anderson, who will also talk about his works which include the all new novel Clockwork Lives, set for release September 15th. 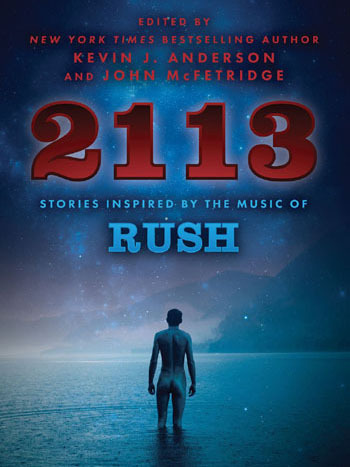 There will also be lots of Rush music, prize giveaways, and Kevin will have the Clockwork Angels novel in all formats including the comics, plus sneak peek booklets of Clockwork Lives. 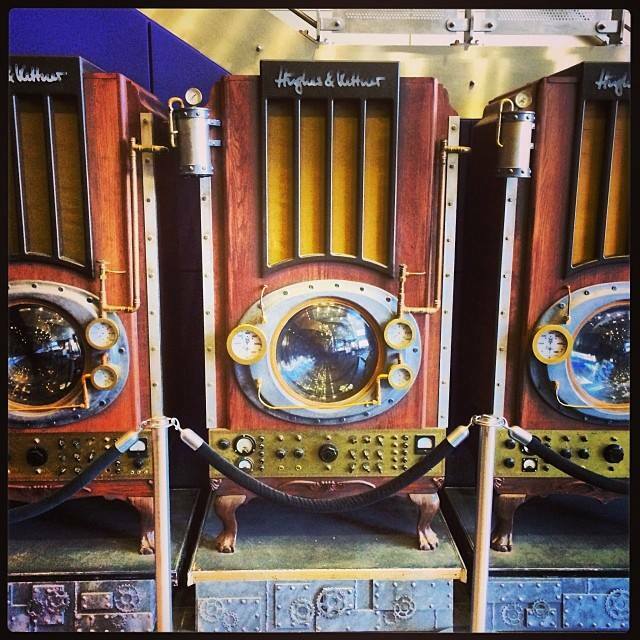 Oh, and did you know, Alex's Steampunk amp cabinets from the Time Machine Tour as well as one of his guitars are on display at the Hard Rock Denver? Yeah, pretty awesome. 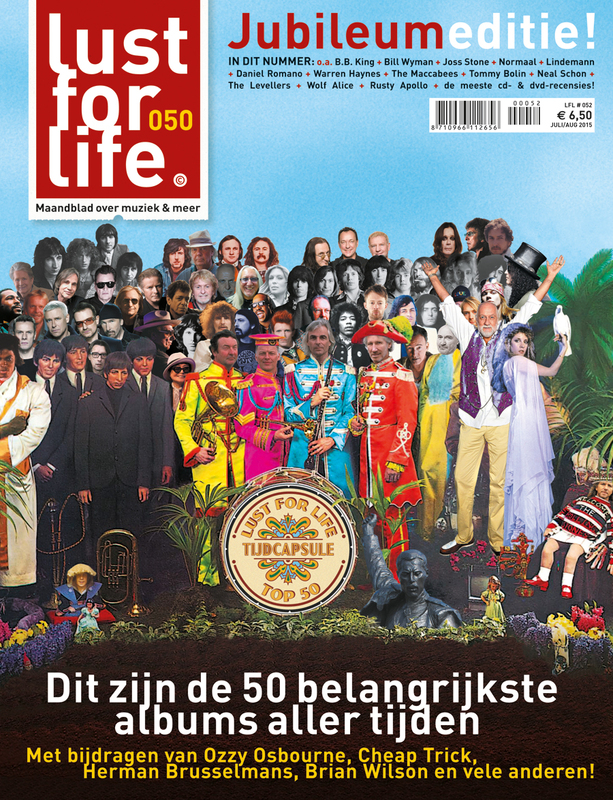 Rush Included in "Lust For Life"'s "50 Most Important Albums of All Time"
Rush is one of host of artists on the cover of the Dutch magazine Lust for Life issue #50, in a scene recreating The Beatles' Sgt. Peppers Lonely Hearts Club Band album cover, for the feature story the 50 most important albums all time. 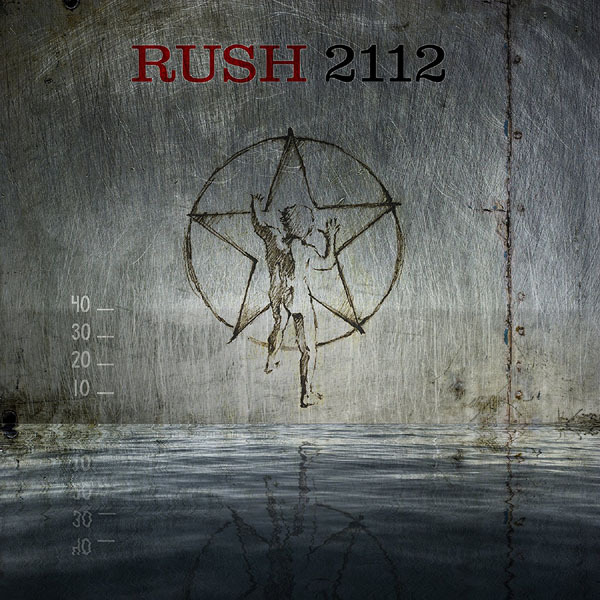 Coming in at #45 is Rush's 2112. - Thanks Chris for the headsup! 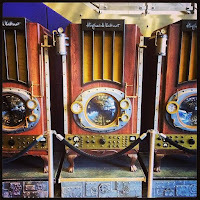 "Congratulations to Matthieu Romarin of Montpelier, France, who took the Grand Prize Winner for his moody, electronic take on Rush’s “Limelight.” Among other things, Matthieu will receive a $5,000 prize, two tickets and two meet-and-greet passes to Rush’s final R40 concert in Los Angeles on August 1." For a complete list of winners visit Indabamusic.com. 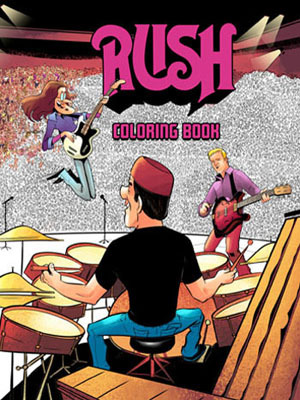 The Art of Rush, a 272 page coffee table book that delves into the 40 year relationship with Rush and their longtime artist and illustrator Hugh Syme, was released on May 22. 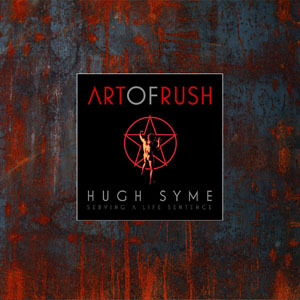 Yesterday Billboard.com published Rush Art Director Hugh Syme on the Stories Behind the Band's Iconic Album Covers and His New Book 'Art of Rush' a new interview with Hugh were he discusses not only the book, but other topics regarding his relationship with Rush. Rush is on the cover of the July issue of the RollingStone. 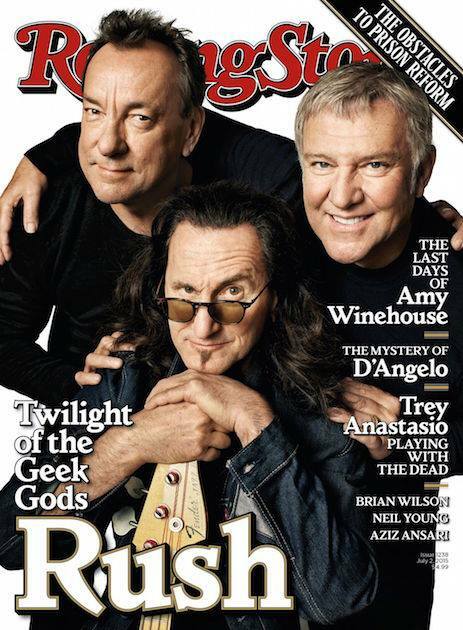 on newstands now, with the cover feature "From Rush With Love; Is this the end of the road for the geek-rock gods? Yesterday Rollingstone.com posted the followup story 22 Things You Learn Hanging Out With Rush with even more from their cover-story interviews. 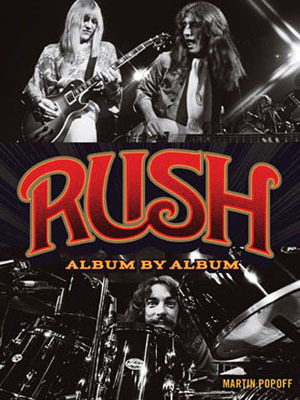 Included are some interesting points, including the fact that Rush considered doing a second Feedback album of cover tunes before the R40 tour but obviously decided against it, that Geddy (not Neil) was against playing Jacob's Ladder live on the R40 tour, how Alex tried to resurrect Fly By Night on the R40 tour, that Neil would like to turn Clockwork Angels into a movie, Alex's disappointment in current college radio playlists, and more.